Over 18 Million Californians get their health insurance through their employer. While some employers may be large, most are smaller with well under 100 employees. No matter the size of the group, we work to not just provide you quotes, but expertise in managing costs, making sure your employees have access to their doctors, and layering coverage. If you are a business owner with at least one W-2 employee we can offer you a wide range of employer/group health insurance programs. While shopping for health insurance for your family is difficult, the complexity compounds when you have multiple families to provide for. Employers just want to do whatever they are in business to do. They don’t want to run a benefits department. We can be that benefits back office for your business. 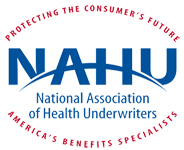 All the traditional health insurance carriers and options. We also can help with Health Reimbursements programs to help employees purchase their health insurance as individuals using employer provided funds. Health Savings Accounts, we were early adopters of this tax advantaged program. We also work with United Ag Benefit Trust, and other niche programs that are industry specific. While we are licensed to work with business clients throughout California, we target companies based in Santa Cruz, Monterey, San Benito, and Santa Clara Counties of California.